Dilated Cardiomyopathy- A condition in which the heart becomes weak and chambers get large. As a result, the heart cannot pump enough blood out to the body. Hypertrophic Cardiomyopathy - A condition in which the heart muscles become thick and the thickening makes it harder for the blood to leave the heart. 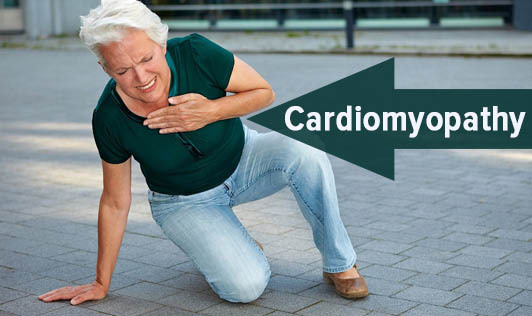 Restrictive Cardiomyopathy- The heart muscle in restrictive cardiomypathy becomes rigid and less elastic, meaning the heart cannot properly expand and fill with blood between heartbeats. Contact your doctor if you have one or more symptoms of Cardiomyopathy!